In stark contrast to most of U.S. history, the process today of nominating and confirming a U.S. Supreme Court judicial appointment has become arguably one of the most heightened political events in a president’s term. Join us for the Institute for Policy Innovation’s Hatton W. Sumners Distinguished Lecture Series as we present Arizona Supreme Court Justice Clint Bolick, who will discuss why the process of nominating a new Supreme Court justice has become so politicized. 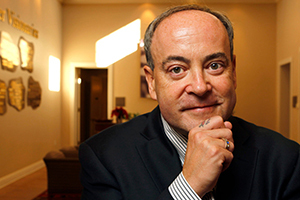 Clint Bolick serves as an Associate Justice of the Supreme Court of Arizona. A legal pioneer in a number of areas, Bolick has argued and won significant cases in both state and federal courts, winning school choice victories in the Supreme Courts of Wisconsin, Ohio, and Arizona, as well as in Zelman v. Simmons-Harris before the Supreme Court of the United States. Bolick has also set landmark precedents defending freedom of enterprise and private property rights and challenging corporate subsidies and racial classifications. He also served as director of the Goldwater Institute Center for Constitutional Litigation in Phoenix and research fellow at the Hoover Institution. Bolick cofounded the Institute for Justice and was former president of the Alliance for School Choice. Bolick helped author the Health Care Freedom Act and the Save Our Secret Ballot amendment, both of which were added to the Arizona Constitution in 2010 and adopted in several other states. He also has assisted policy activists in several states in establishing litigation centers based on the Goldwater Institute model. Bolick is the author of several books, including Immigration Wars: Forging An American Solution, co-authored with Jeb Bush, Two-Fer: Electing a President and a Supreme Court, Death Grip: Loosening the Law’s Stranglehold over Economic Liberty and David’s Hammer: The Case for an Activist Judiciary. Bolick received his law degree from the University of California at Davis in 1982 and his undergraduate degree from Drew University in 1979.